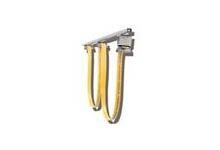 Insul-8 8-Bar was invented by Insul-8 Corporation over 60 years ago. This is the original “figure 8” conductor bar system! This innovative system provided the first safe, insulated electrification solution for cranes, monorails, hoists, conveyors, and many other applications. Thousands of miles of 8-Bar are in use all around the world. There are many “copy cat” systems around. Don’t settle for imitations; insist on the original 8-Bar system! 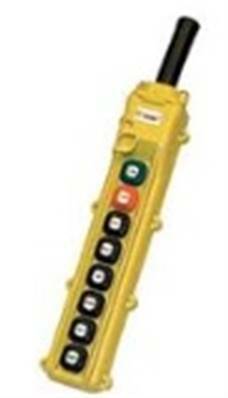 Insul-8 electrification systems include push button pendants, cable reels and c-track cable festoon systems. Insul-8 conductor bar systems are highly reliable and performant. You can rely on these components to complete your electrification project. Crane Controls stocks the whole range of crane parts from leading manufacturer Conductix Wampfler. 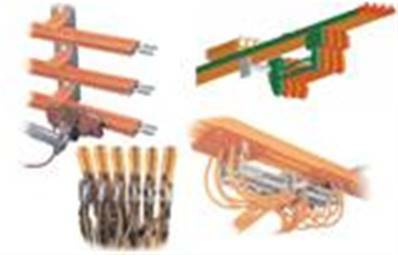 You may also be interested in our range of Duct-o-Wire Electrification Systems.